The blue color gas safety regulator in the offering is designed to ensure the safety of people as well as assets. This LPG cylinder device manufactured by our Pune, Maharashtra based company must be installed in every home in order to be safe. 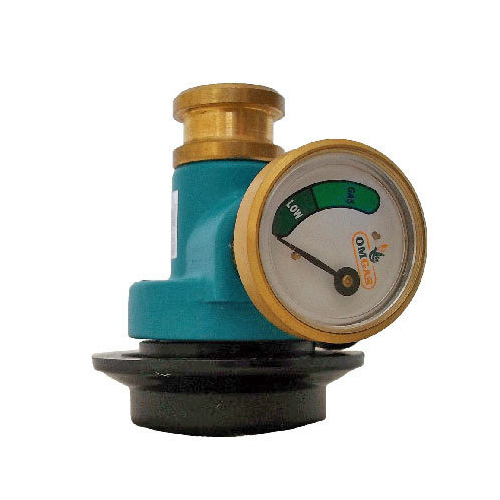 This regulator certified under ISO 9001, is helpful in detecting gas leaks, indicates low LPG level in cylinder and avoids accidents by cutting major gas leaks. The gauge in the gas safety regulator has two zones, light green zone an dark green zone. The former indicates adequate gas supply, while if the gas safe dial needle is in dark green zone area, that indicates low LPG level.